Dental crowns are common. In fact, according to the American Academy of Implant Dentistry, 15 million people in the United States have crowns to replace missing teeth. Amy Mandalia, DDS, at Buckhead Dental Care in Buckhead, Atlanta is an experienced professional at crown and bridge placement, so if you think you may need a crown or bridge, book an appointment online or call today. A crown is a tooth-shaped "cap" that's used to cover a damaged or weak tooth. It’s sculpted to the shape of the original tooth and can enhance the tooth's appearance and stability. The crown goes over the original tooth and is bonded into place, so the tooth is completely covered from the gum line up. 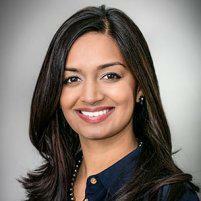 There are a number of reasons Dr. Mandalia might recommend a crown. A crown can cover a dental implant or stained or worn tooth. Crowns are more than cosmetic solutions. They can cover and protect a weak or cracked natural tooth. Crowns can strengthen teeth that are at risk of breaking or that have weakened as a result of large fillings. The choice of material depends on multiple factors. For instance, stainless steel is typically the go-to material for temporary crowns. Stainless steel crowns are incredibly durable. Prefabricated stainless steel crowns are commonly used for children who need crowns on baby teeth. Metal crowns are strong and able to endure the force of biting and chewing, but due to their color, they’re usually reserved for use in the back of the mouth. Porcelain fused to metal crowns are more aesthetically pleasing than stainless steel crowns, but they aren't perfect. For instance, the metal portion of the crown might be visible as a dark line close to the gums, and the opposing teeth might endure more wear than with other types of crowns. All-resin crowns are generally a less expensive option, but are also more prone to cracking, whereas all-ceramic crowns are the best option for people who have metal allergies. A dental crown procedure generally requires at least two visits to Dr. Mandalia. During the first appointment, your Buckhead Dental Care professional will take X-rays to assess the health of the tooth that requires the crown. Next, Dr. Mandalia will administer anesthesia, then build up or file down the original tooth so that the crown will attach securely. Once the tooth has been prepared, Dr. Mandalia will make an impression of your teeth, which will be sent to the dental lab and used to construct a custom crown. Dr. Mandalia will cover your tooth with a temporary crown until the permanent custom crown is finished. A dental bridge is used to close the gaps in your smile left behind by missing teeth. Held in place by abutment teeth, or supporting teeth, a dental bridge is a false tooth, or pontic, that takes the place of your missing tooth or teeth. Missing teeth can disrupt your eating habits, cause chewing pain, and set your remaining teeth up for decay, so it’s important to talk to Dr. Mandalia right away if you think you may be a dental bridge candidate. After deciding on a dental bridge, Dr. Mandalia will prepare your abutment teeth by removing part of the enamel to make room for a crown. Once impressions of your teeth are made, she will fit you for a temporary bridge while your permanent dental bridge is created. During your second dental visit, your temporary bridge will be removed and replaced with your permanent bridge. After the proper adjustments are made, the bridge will be cemented into place temporarily for a couple of weeks to make sure no further adjustments are needed. Would you like to learn more about dental crowns or bridges? Think you might need a crown replaced? Contact the experienced professionals at Buckhead Dental Care or make an appointment online.